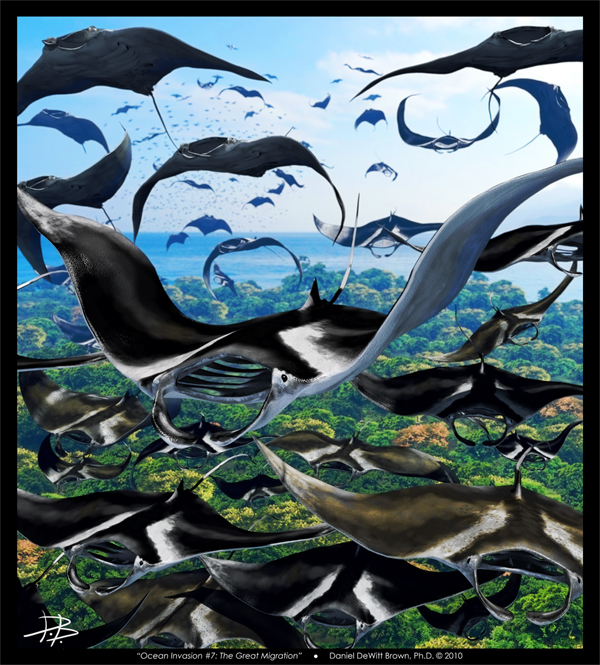 The Manta Rays take up their seasonal invasion. This is the seventh in a series of pieces, “Ocean Invasion,” which finds ocean creatures living in absurd land habitats. Previous Previous post: “K-T” featured in “Blender Art Magazine #28”!